The Cabinetmaking Techniques students displayed their work Aug. 7-8 the Barrie Campus. 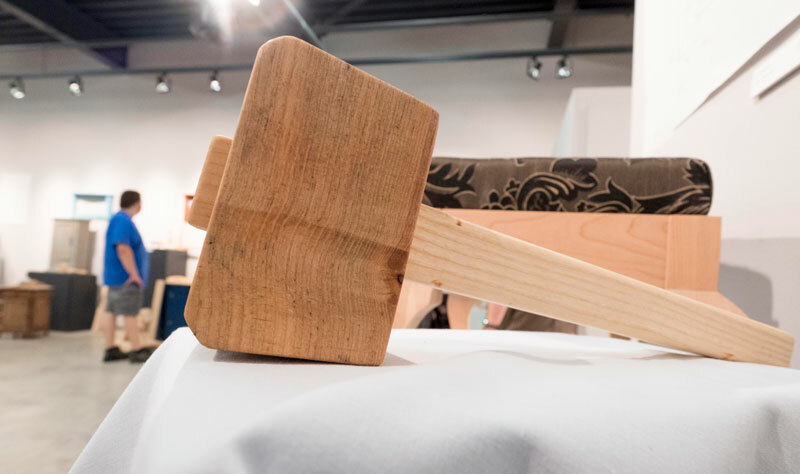 The pieces displayed in Georgian College’s sixth annual Student Cabinetmaking Exhibit were as unique and diverse as the students themselves. The Cabinetmaking Techniques students displayed their work Aug. 7-8 at the Helen and Arch Brown Centre for Visual Arts at the Barrie Campus. This year’s show was well attended with more visitors than in previous years, including many people from the community who had no affiliation with the program or college. Faculty member Lynn MacKinlay said, “We had several employers come out to the exhibit – some who have been before. The displays looked great and the students truly enjoyed themselves. Solomon King, 48, is a Red Seal certified stonemason and sculptor. He enrolled in the program because he wanted to transition his carving skills into wood as an artistic medium to create one-of-a-kind pieces. “One of the biggest things I’ve learned is the detail-oriented methodology of cabinetmaking that I can incorporate into my art-making processes,” he said. “We have a really diverse community of students in our program and that was one of the appeals for me,” said Bethany Debassige, 21. Debassige loves to work with her hands – a skill she picked up from her father. “My dad works with all kinds of wood and stuff at home. He’s kind of a Jack of all trades, but master of none,” she laughed. Both King and Debassige say their instructors have been phenomenal. 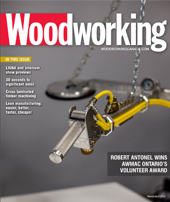 Cabinetmaking alumni attend the exhibit every year because it’s a perfect opportunity to support the program and chat with students about potential employment opportunities. Some students are hired on the spot. Door prizes and giveaways will also be offered. “The exhibit is such a delight,” said MacKinlay. “To watch students hone their craft throughout the year and proudly display their work for everyone to see is very gratifying. We have a strong group of dedicated and skilled students this year and this is just one of many opportunities Cabinetmaking students have throughout the year to develop and showcase their skills, she added.